This site exists to document as carefully as possible, evidence of crop circles from before 1978. The case studies included here are but a selection from the hundreds now on record prior to that date. We want to hear from anyone who knows of old crop circles not included here. Please get in touch if you can help, using the contact form at the bottom of this page. This website was designed and built by Terry Wilson, author of The Secret History of Crop Circles. Although the book detailed literally hundreds of old crop circle cases, hoax-claimants still deny the phenomenon existed before 1978. Evidence of crop circles prior to 1978 comes mainly though eye-witness accounts from those who saw them first-hand. Some of these are supported by precise details about the anatomy of the circles, others by diagrams, location maps and similar. In some cases, we also have photographic evidence. Some of the formations have only general information, and some cases are therefore stronger than others. A few have truly excellent documentation, consisting of notes, locations and photographs which show beyond doubt that markings we recognise as crop circles existed. Moreover, accounts of several were published in their day – long before the crop circle phenomenon was widely known. One of the best cases is that of Bow Hill in 1932 (see UK page). This case, consisting of four rings in a field of barley, was spotted from a hillside, and then visited on the ground by a well-known archaeologist. He provided a close-up description of the rings, “a circle in which the barley was 'lodged' or beaten down", and captured a photograph of one of them, from a reasonable elevation. All of this evidence was published in the 1930s. Another case of note is the Charlton event from 1963 (also on the UK page). Well-known astronomer Patrick Moore saw these circles and wrote a detailed report describing them as, “Circular or elliptical areas in which the wheat had been flattened. There was evidence of 'spiral flattening', and in one case there was a circular area in the centre in which the wheat had not been flattened." Again, this was published at the time, in the respected journal New Scientist. There are other cases which are similarly robust. The accounts listed under Related cases for example, include documentation of a circle in grass in the USA in 1952. This was described in classified US government papers which, thanks to a Freedom of Information request are now in the public domain. 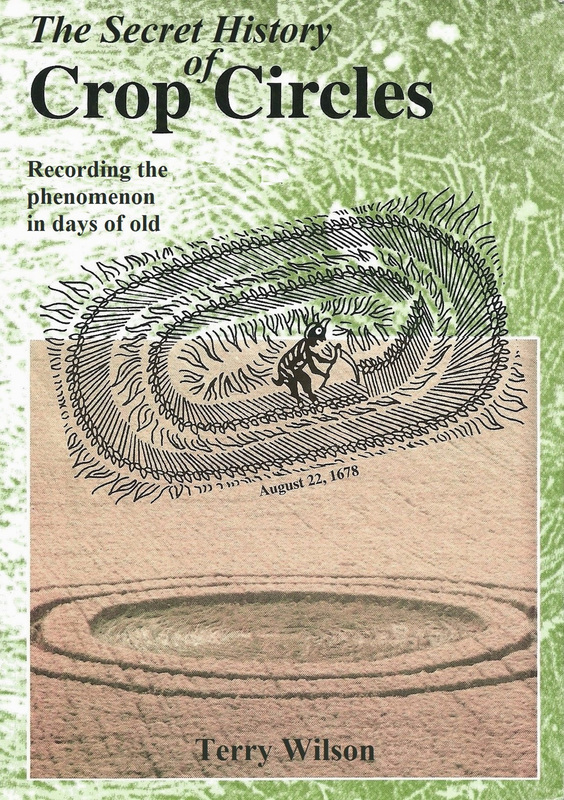 They exactly describe the circle, “the grass was pressed down forming a circle of sixty-foot diameter impression with the grass in a recognisable concentric pattern… the vegetation was laid down in concentric circles.” This account, written in 1952, was not from the popular press or from a UFO fanzine; it was documented first-hand, by US government personnel on official investigations. There are several others with impressive details too. Many of the 1970s formations in Australia and Canada have been photographed. There is also a whole magazine article available on the Canadian cases, published in 1979. (The notion that Doug & Dave invented the phenomenon in Hampshire in 1978 is thereby exposed.) We have contemporary press cuttings on a number of early cases, and have learned of several accounts tucked away in books on unrelated matters (for example a circle in Cumbria in 1968, mentioned by its author during reminisces about nature rambles). Taken as a whole, this body of evidence is beyond reasonable dispute; crop circles have been appearing for as long as anyone can remember. It is true that there are no perfect aerial photographs showing circles before 1978. We believe this is logically accounted for by the fact that crop circles were not widely reported, there was no research community to receive reports and keep records, little media interest and no real context in which they could be interpreted. What we do have is a growing body of photographs, of varying quality, taken from the ground. These sometimes show classic crop circle floor details, frequently demonstrating a swirling effect and sharp edges to the flattened regions. The photographs are not as impressive as those of the modern era, but we would not expect them to be. No-one was flying over formations to record them, and in cases where they may have been photographed from the air (for example the case from Tangmere in 1943) the images were never published and their whereabouts today is not known. Under the circumstances, we believe the body of evidence presented is remarkably strong. Please contact us if you can add anything to the records detailed on this site, using the form below. Please use the form below to get in touch with us - whatever you have to say.